Using the most recent advances in dental implant technology, Dr. Turner is able to place single stage implants. These implants do not require a second procedure to uncover them, but do require a minimum of six weeks of healing time before artificial teeth are placed. There are even situations where the implant can be placed at the same time as the tooth extraction – further minimizing your number of surgical procedures. Dental implant placement is a team effort between an oral and maxillofacial surgeon and a restorative dentist. Dr. Turner performs the actual implant surgery, initial tooth extractions, and bone grafting if necessary. The restorative dentist (your dentist) fits and makes the permanent prosthesis. Your dentist will also make any temporary prosthesis needed during the implant process. 5 out of 5 stars based on 10 Dental Implants reviews. Dr. Turner is absolutely outstanding in doing dental implants...he is exceptional. He makes the procedure seem so simple, smooth and easy. That's how good he is! My implant was quick and painless. And, he is very patient and pleasant. Office staff very nice. Would highly regard Dr. Turner to anyone. He is a standout! Dr. Turner and his staff are highly professional, extremely competent, friendly, and cooperative. I have been a patient of Dr. Turner's for 15 years, and have had gum surgeries, an implant, and numerous cleanings and consultations. I have had excellent experiences during each procedure, and am grateful to be under Dr. Turner's care. 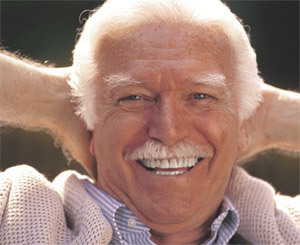 I have had needed multiple dental implants for cracked teeth. Dr. Turner and his team have always been great during the procedure and follow up visits. As a patient of Dr. Ian Turner's for more than 10 years, I have tremendous praise for his work. I have had a variety of procedures done including dental implants and bone graphing. Every procedure has been explained and completed with the support of Dr. Turner and his staff in a very caring way. After the procedure Dr. Turner and his staff continue in the same manner by calling and scheduling timely post-op appointments. Overall, I highly recommend Dr. Turner for dental implants and periodontics. I am terrified of the dentist. Unfortunately I had an injury that resulted in the loss of a tooth. I was in pain and desperate, I had to see a specialist. Luckily for me, a friend recommended Dr. Turner. Not only did he get me quickly, but with his calm bedside manner he guided me through the entire process....pulling a tooth, bone graft, implant and reconstruction. Dr. Turner's approach and attitude in treating the 'whole patient', not just my tooth, was exactly what I needed. I am so relieved to know that if and when I need this type of dental work I have a place to go where I don't have to feel scared and anxious. I have been very impressed with the results that I have achieved with the four implants that I have done with Dr Turner. The two front teeth were involved so the overall look had to be just right, his work and his collaboration with my regular dentist has been outstanding. The first implant was done over 10 years ago and I have had no problems since. I would highly recommend Dr Turner for any implant or periodontal work! Dr Turner and staff were wonderful. They clearly explained everything about my implant procedure. They were very careful to make me as comfortable and free of pain as possible during and after the procedure. I would recommend Dr Turner to anyone! I am extremely happy I was referred to Dr. Turner's office for my extensive dental work. I have been very happy with my overall treatment with Dr. Turner and I trust his opinions and any treatment he recommends. I have been patient here for over 20 years. I am very satisfied.